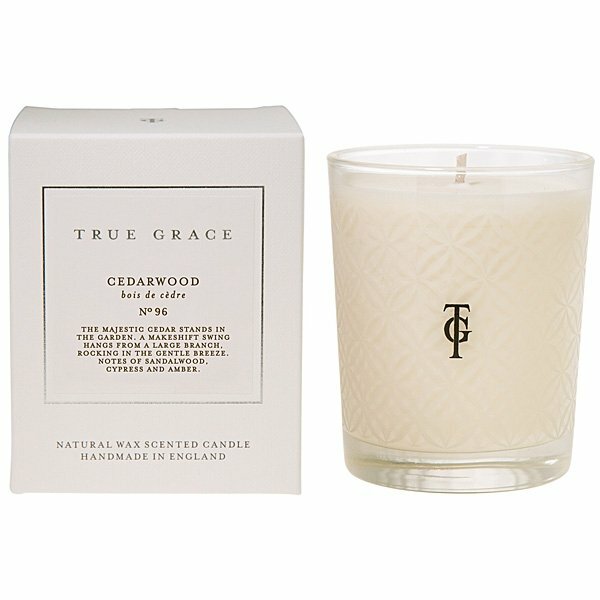 True Grace Cedarwood Candle is the majestic Cedar tree standing in the garden. A makeshift swing hangs from the branch, rocking gently in the breeze. Notes of sandalwood, cypress and amber bring back childhood memories.  Made in England from a special vegetable wax blend, the True Grace "As It Should Be" Classic Village Candles burn cleanly from start to finish. The high concentration of essential oil fragrances in these candles is intoxicating, refreshing and original. Hand poured in a beautiful etched glass vessel.